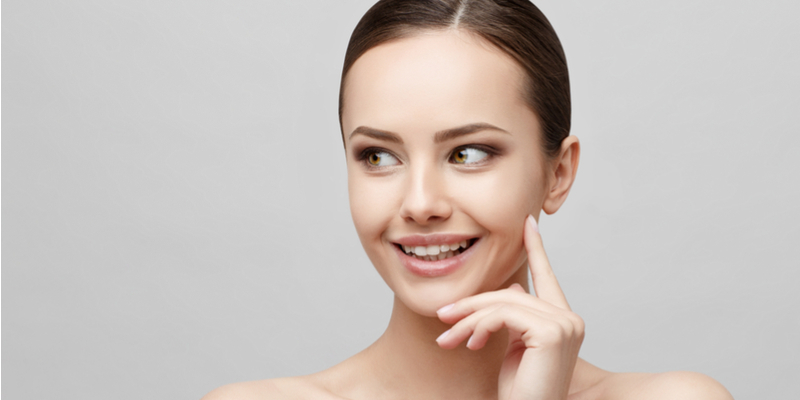 All our fateful readers know that we have spoken about BTL Exilis Ultra several times. When it comes to real, longlasting results, this non-invasive aesthetic device left us breathtaking. This time we would like to present another feature – face and neck skin tightening. For real, we are talking about the most powerful next generation non-invasive skin tightening and body contouring device. Let us introduce face skin tightening with BTL Exilis Ultra. BTL Exilis Ultra – How it Works? Nowadays it’s so easy to reduce wrinkles without surgery or injections. BTL Exilis Ultra is an amazing non-invasive device which simultaneously combines radio frequency and ultrasound to tighten skin and address body concerns such as fat and cellulite reduction. BTL Exilis Ultra easily helps stimulating collagen and elastin renewal. Furthermore, helps minimize the appearance of fine lines, wrinkles, and sagging skin. The ultrasound element allows the radio frequency energy to heat the tissue faster, easier and more effectively. Due to the combination of these two energies, the results of the treatments are far more superior, consistent, safe and comfortable. BTL Exilis Ultra is a perfect choice to target face, neck, and chest area, to tighten loose skin and improve wrinkles, including the eye area. Unlike other non-invasive options for face skin tightening, such as the laser, BTL Exilis Ultra handpiece can safely approach the eye area. Now, we are talking targeting crow’s feet, undereye and the area under the eyebrows, and more. When used on the neck, it is able to provide skin tightening and fat reduction. Therefore, anyone who wishes to avoid surgery or injections is a good candidate. No pain, no downtime. The skin looks younger and healthier almost instantly. The most optimal results can be shown after a few treatments. Don’t forget: treatments can be tailored your specific needs and areas of concerns.